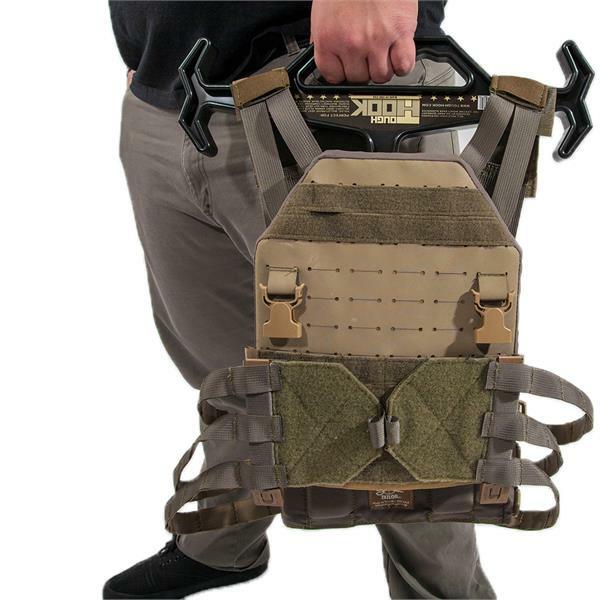 150+ LBS LOAD CAPACITY FOR YOUR FULLY LOADED PLATE CARRIERS. 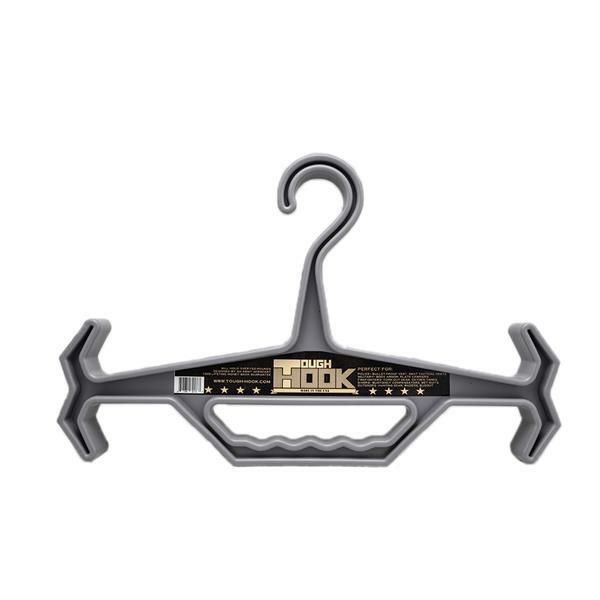 The Tough Hook is a heavy-duty hanger designed to handle over 150 lbs of gear. 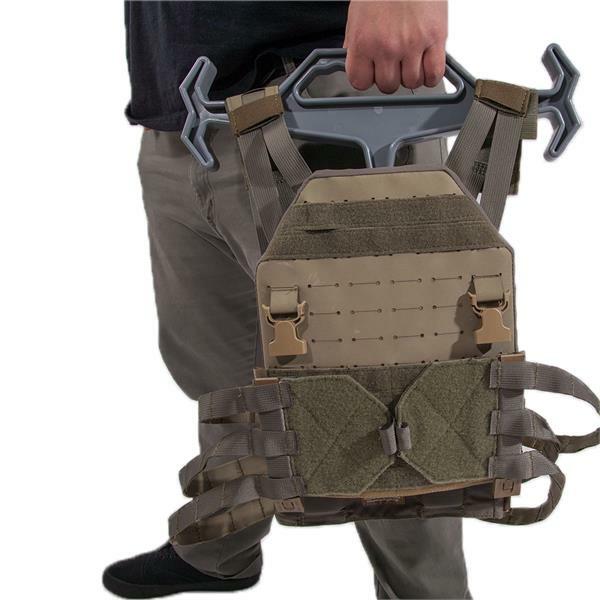 Perfect for tactical gear such as plate carriers with armor plates and additional accessories, ruck packs, not to mention even hunting or scuba gear. 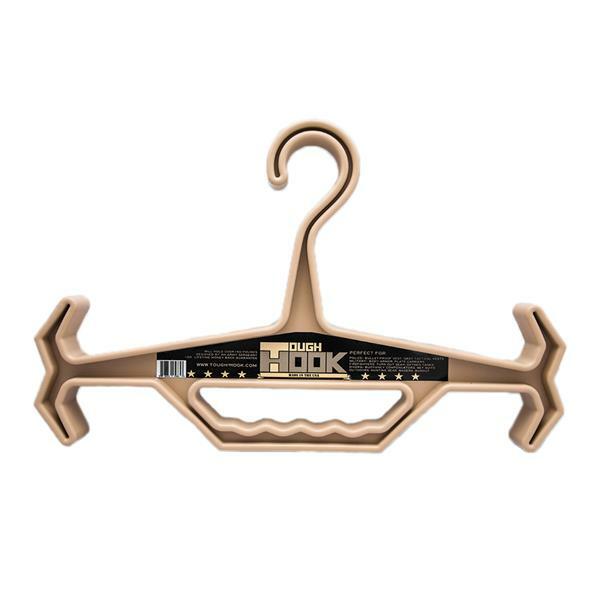 The ridged I-Beam construction won’t bend or sag, with wide shoulders and opposing hooks to keep gear from falling off. 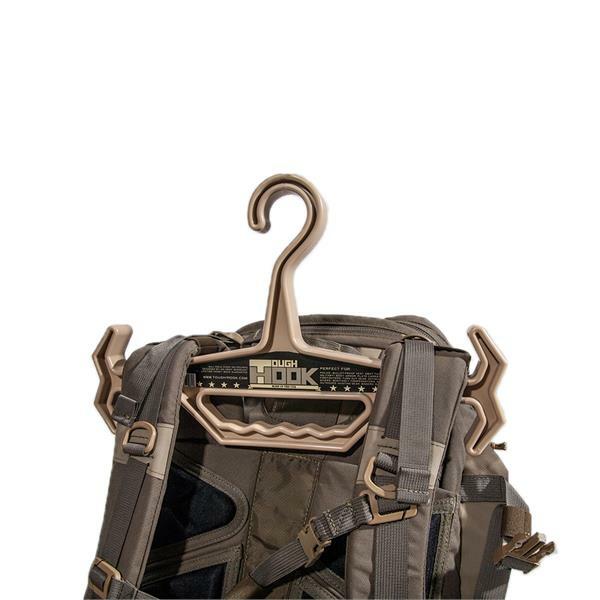 The Tough Hook also has an integrated handle for easy carrying. 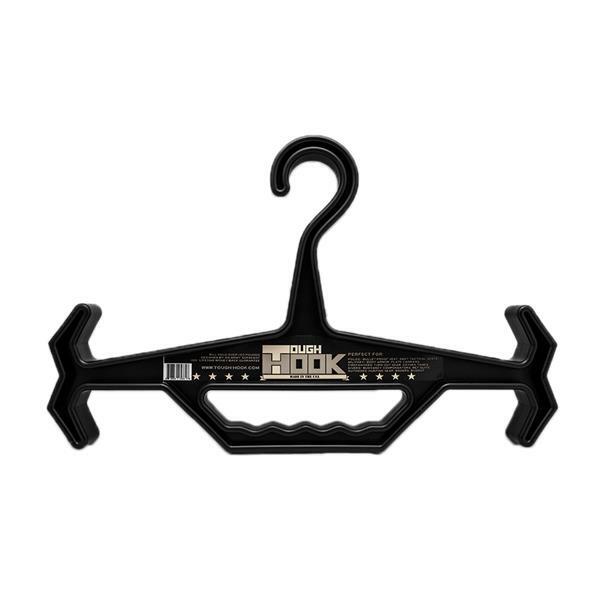 Constructed of GP22 high impact ABS plastic.